Last weekend I went back to Devon to visit my mum and dad and of course whilst I was there I took the opportunity to have a look around some of the charity shops I used to frequent when I lived there. Unfortch the one I really wanted to go to wasn't open on the day I visited, but I did have a good look around several others and managed to find some amazing things. This first item is a cool structured handbag which I picked up in Banardos. 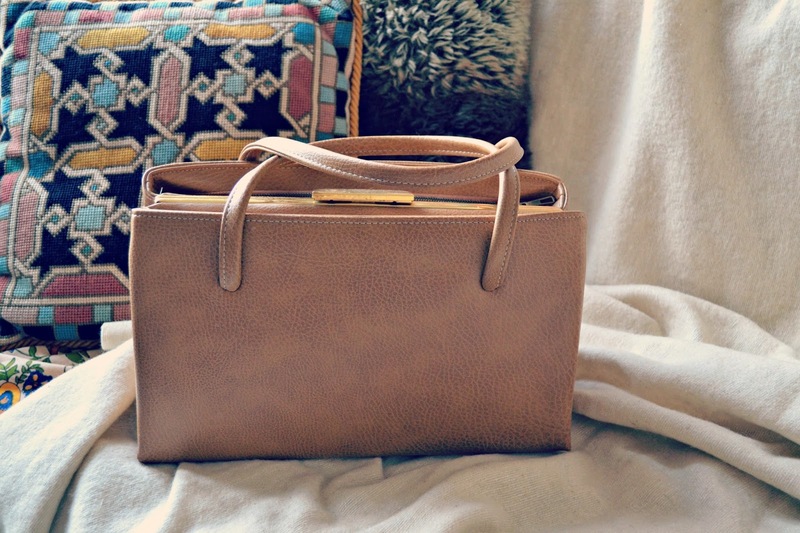 I haven't bought a charity shop handbag in a little while but I really liked this one; the boxy shape and gold hardware is exactly what I like whilst the beige colourway is also a favourite. At £5.99 it was one of the weekends more expensive purchases but I liked it enough to invest in! I actually came away with some really cool items which I will feature on the blog soon, I'm also writing a post about the best way to charity shop and some hints and tips which I hope to publish soon. I am often asked how I find my charity shop items; there's no real skill to it but I have learnt a few things over the years which have helped me to bag the bargs! 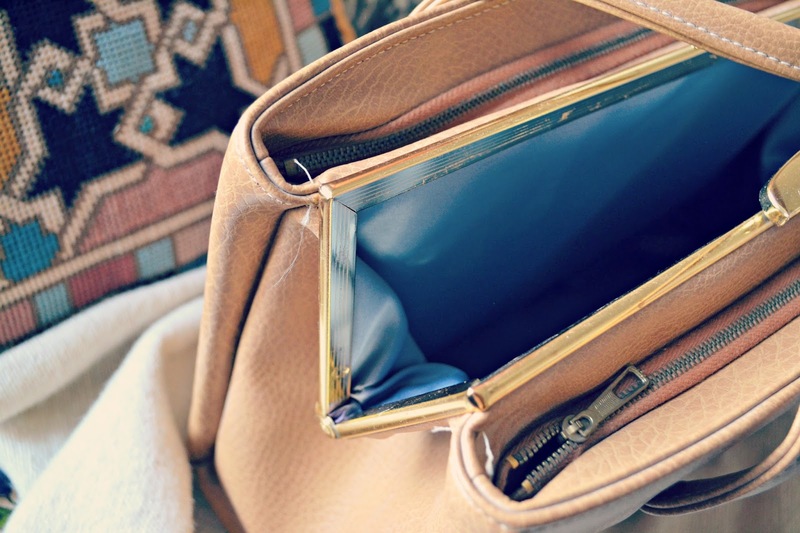 If you are a serial charity shopper, as I am, you definitely should check out the wonderful Vintage Vixen and also Charity Shop Gold, who are two other charity shop obsessed bloggers you're sure to love!